In the old world, we got used to restrictions which technology and other constraints put on us. In the meantime it seems that everything is possible with technology - “no limits” anymore. But progress is still slow, and other obstacles seem to be in the way. And which developments do really make sense? What should we focus on. Hear what you need to know to inform your decisions and to succeed in the current dynamic environment. Get inspired to take a different angle on areas you have been working on for many years. 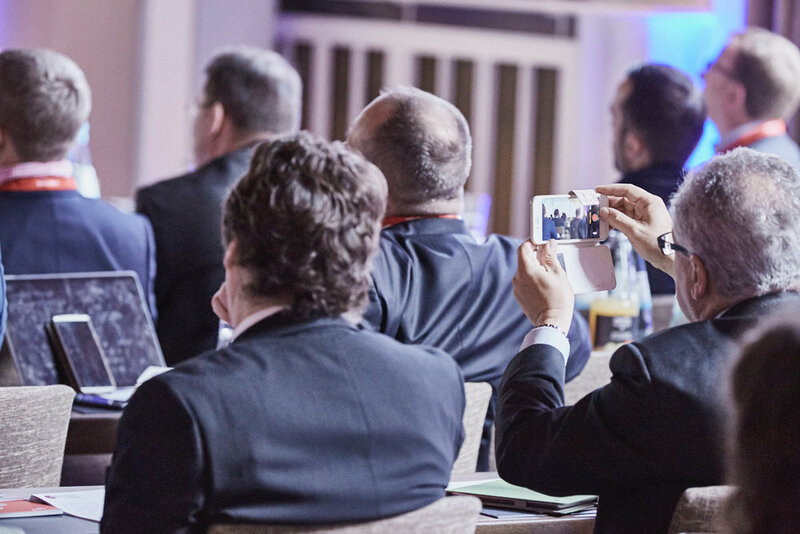 “think future” with us in Hamburg - latest tech and trends, use cases from airports, airlines, rail, hospitality, maritime and other travel and tech stakeholders and thought leaders. Latest start up developments that could be of interest to inform your business agenda. We are the reference for innovation in aviation and travel. Join amazing speakers & attendees, among others top managers from LH Group - Aegean - Kenya Airways - Thai - Vueling - Frontier - Air Baltic - Myway (Georgia) - Brussels Airport - Lyon Airport - Hamburg Airport - Avia Alliance - TUI Cruises - A.Rosa - TUIfly - Luxair - Moscow DME Airport - Fraport - Firstair (Canada) - Kenya Airways - El Al - Eurowings and more. think future 19 - photos by Robin Kater; you find more photos here. To inform your digital transformation and innovation agenda, to learn & get insight you have not yet heard elsewhere. To get to know diverse aspects related to specific subject areas which can make a big difference. For great networking and to get to know partners, start ups and thought leaders who can make a big difference and whom you do not meet everywhere else. We are passionate about bringing innovation & change to the industry to be ready for the digital age. Independent, personal, authentic. Everyone who wants to learn & contribute to innovation & get ready for the future: board members, top executive management & decision makers from commercial, operations, finance, HR, IT will get insights about key areas you need to know to inform your decisions, key change ambassadors across business and support functions learn about how to transform & latest working methodologies. Airports, airlines, rail, hospitality, maritime & retail, innovative tech companies, start ups and universities - a unique eco-system to discuss and think out of the box.